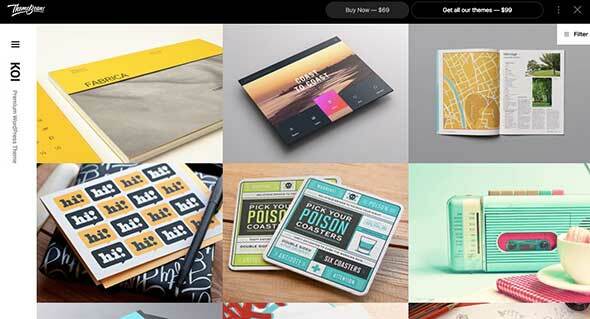 Today’s article is about creativity in web design. Whether you’re a photographer, a sketch artist, a DJ or a fashion blogger, we’re sure this list of 25 creative website templates will definitely help you better understand which kind of template is best for your website. 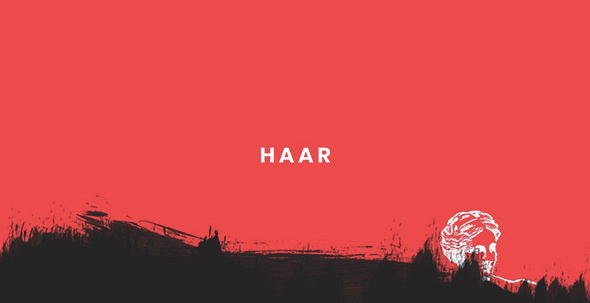 Haar is a WordPress theme with minimalist design best suited for any painters and designers. It’s easy to use, has a powerful and simple admin interface, a fully responsive design, is retina ready, has a large collection of pages, a visual composer page builder, slider revolution plugin, various layout pages and many other helpful options. It’s easy to install and use and has many customization tools. 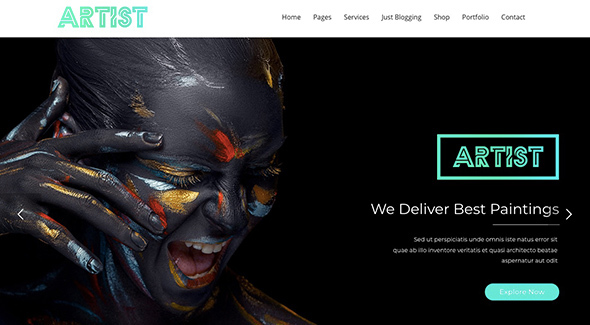 Artday is a fully responsive WordPress theme better suited for online shop websites. The design is classy, minimalistic and modern, fully responsive and highly customizable. Other features include a content builder, a revolution slider plugin, various page styles, WooCommerce plugin, automatic theme updates, is retina ready, has many blog layouts you can choose from and other great options. 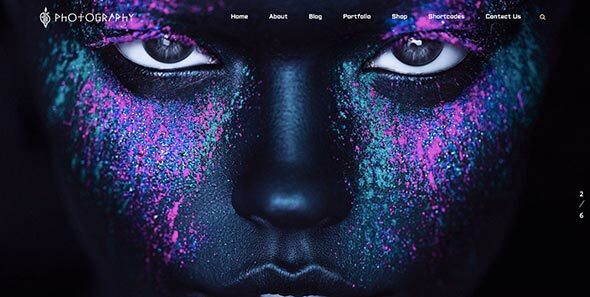 Fullscreen Artist is a WordPress theme better suited for any graphic designer, artist, craftsman, painter, sculptor or photographer that seeks a deep visual impact on their website. The design is minimalistic and offers a dynamic experience. 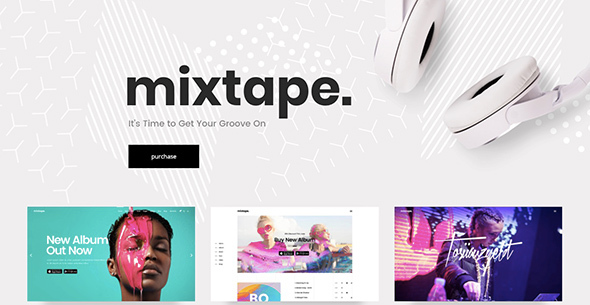 Mixtape is a WordPress theme dedicated to any music related professional. The design is highly customizable, fully responsive on any mobile device, no coding is required to install and use, has a visual composer plugin, slider revolution, many album layouts and album related buttons and icons, great image gallery and many other great options. This theme has a simple but interesting design, minimalistic and modern, which can be used by any photography professional or blogger. Some features include a great photo showcase template, different visual layouts for the blog, image and video slideshows, many layout options, great customization tools and a fully responsive design that looks great on any mobile device. 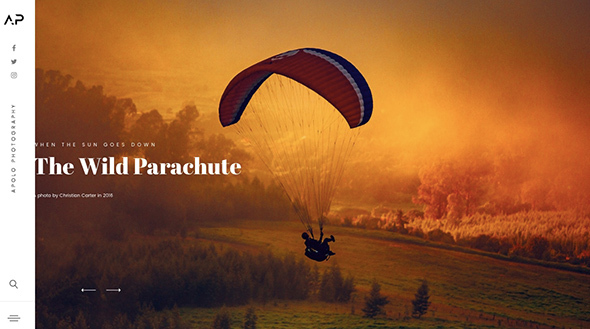 Artiste has a high-tech aspect and it comes with full background slider and videos, an animated footer, a great background image gallery and many other cool features. It’s best suited for any graphic design professionals for showcasing portfolio works. This WordPress theme has a simple design made to look like a hand drawing and it’s perfect for any hand sketch artist to showcase works. Some features include SEO optimization, great portfolio layouts and sections, customizable columns and sections, responsive galleries and design, and other helpful options. 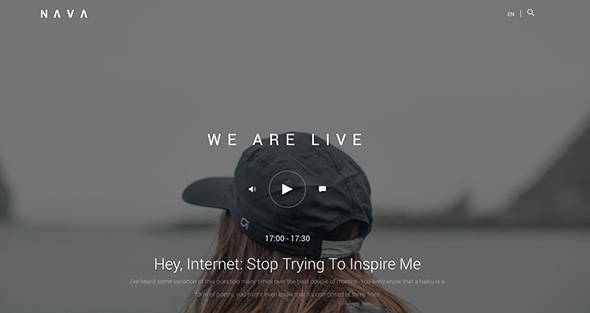 Wonder has a simple, classy, modern and minimalistic look and it’s best suited for portfolio websites. It comes with audio and video galleries, many portfolio layouts and sections, simple customization tools and a fully responsive design. 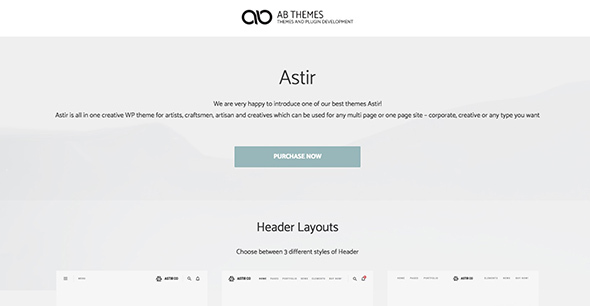 Astir is elegant, simple and modern and it’s perfect for photographers, digital artist, architects, designers, and any other creative websites. It is SEO optimized, has a drag and drop builder, many color schemes and great customization tools. 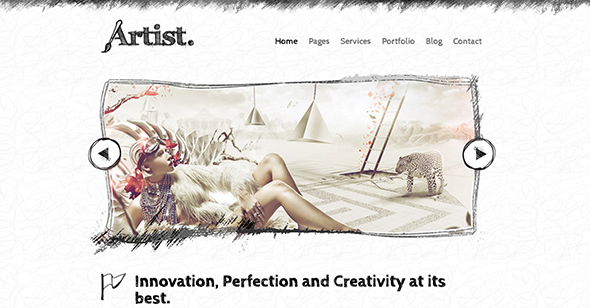 Natural Born Artist is another fully responsive WordPress theme which can be used for multiple types of websites. It includes a light and dark theme, different color schemes, various homepage options, portfolio layouts, many page templates, great support and a highly responsive design. 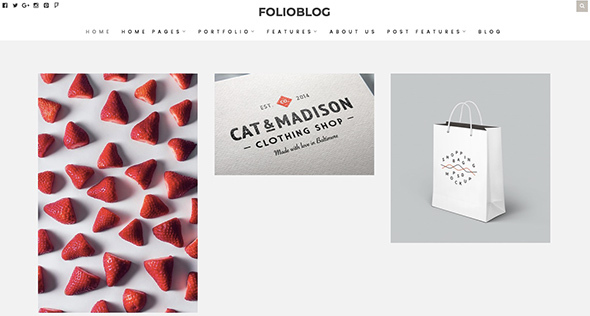 FolioBlog has a minimalistic and neat look and it’s fully responsive on any device. 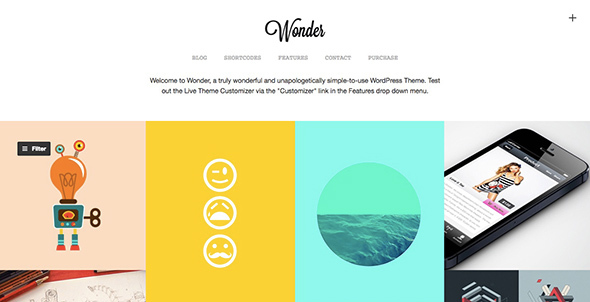 This theme can be used for any creative websites, such as blogs, portfolios or agency websites. Nava is elegant, minimalistic and modern and seems like the perfect choice for any music related professionals, freelancers or just DJ’s that need to display any music works. Background colors and images are easily changeable, the theme has many customization tools, the design is fully responsive, it comes with unlimited color schemes, is retina ready and easy to install and use. Artist Painter is another WordPress theme with a fully responsive design, which is best suited for any painters or drawing artists. The design is minimalistic, modern and has a deep visual impact through the imposing fullscreen image, which is easily changeable. Other features include a cool drag and drop page builder, an easy setup, many customization tools and much more. 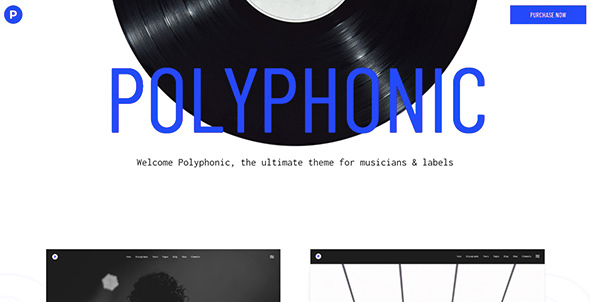 Polyphonic WordPress theme was created especially for music related professionals and can be used as an audio portfolio website. It comes with an easy to use admin panel, 6 homepage styles, a large gallery of layouts and sections, a useful custom map pin plugin for events, full-screen image slider, a highly customizable design and many other great features. 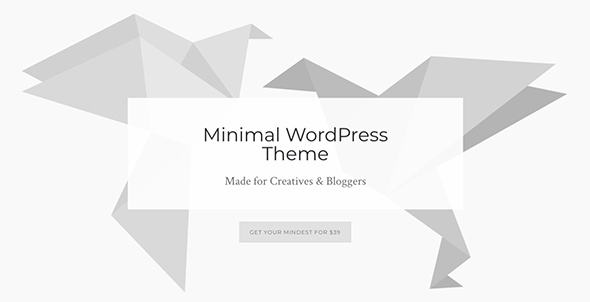 Mindest is another WordPress minimalistic theme which can be used for any creative website or blogs such as for photographers, graphic design portfolios, fashion blogs or an elegant magazine website. It’s easy to install and customize, has many great features and a highly responsive design on any device. 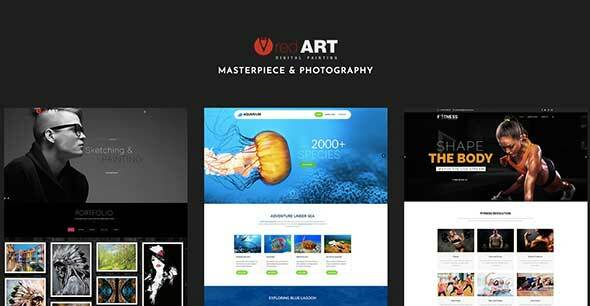 Red Art Photography WordPress theme is an excellent choice for any type of portfolio. It can be used by photographers, artisans, designers, and architects. It comes with many page styles, a full-screen slider, many layout options, a great visual composer and much more. Apolo has a uniquely modern and minimalistic look and it’s best suited for any photography or travel blogs. This theme is retina ready, has a fully responsive design, it’s easy to install, modify and customize, 8 homepage layouts, 3 different portfolio layouts, 7 header options and 3 footer layouts. 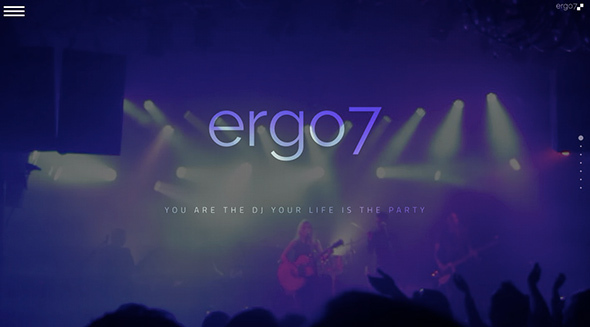 Ergo7 is another WordPress theme dedicated to any music related website and comes with a modern and minimalistic design, a fully responsive layout and many customization tools. 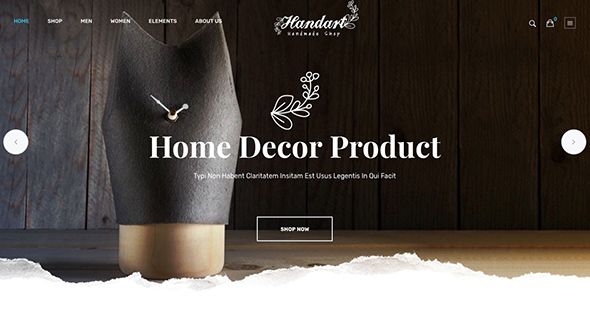 If you’re searching for an online store for home design products, then Handart is a perfect choice. This theme has a fully responsive design, is retina ready, has more than 4 homepage layout styles, an easy to use admin panel, many customization tools, and other great features. The Curator is a timeline WordPress theme created especially for artists that need to showcase their works in a chronological line. Koi comes with a dynamic layout in multiple images and colors which can be easily changed. The design is modern, minimalistic and neat, has a grid-based structure, many portfolio options, and it’s best suited for any photographers and artist websites. 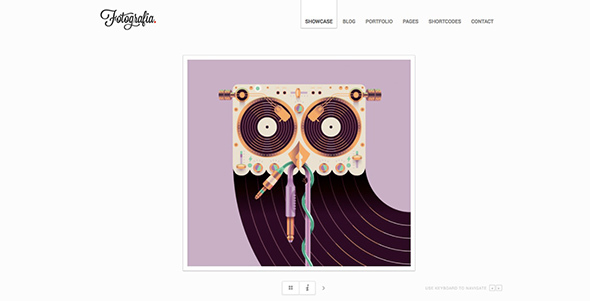 This minimalistic theme is dedicated to artists and musicians who need to have a presentation website. Presskit comes with 7-page templates, many image galleries, an audio player, an easy setup process and many other helpful tools. 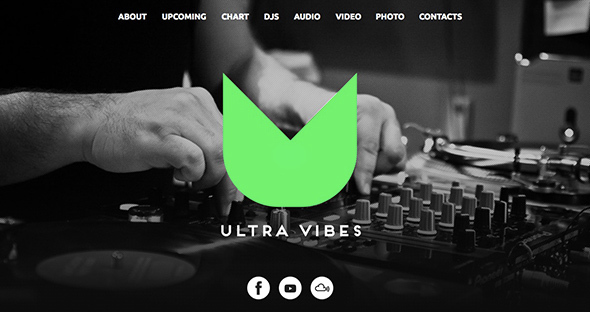 Ultra Vibes is another music-related WordPress theme and it’s dedicated to professionals like DJ’s and producers. 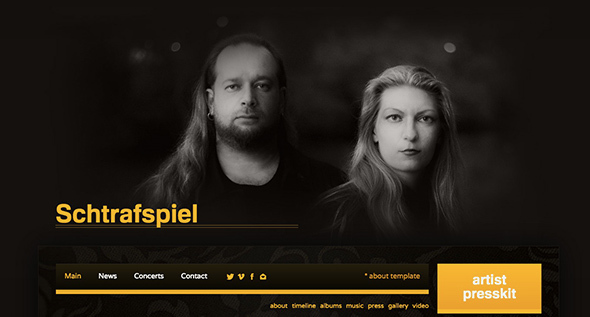 Tore has a simple and modern look, a fully responsive design and great optimization tools. 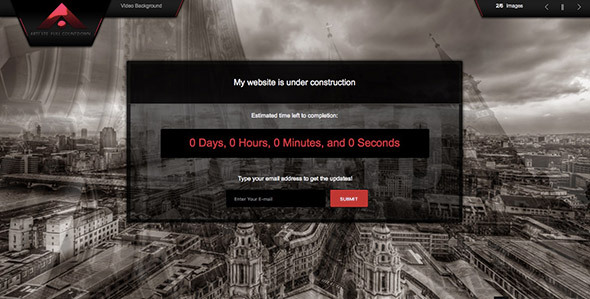 It’s a perfect choice for any architectural portfolio website. Slide is another WordPress music theme, suitable for musicians, artists, music bands, producers or anyone working in the music industry. The design is minimalistic, modern and catchy and it comes with great customization tools and features.